Mortality explanation: During bad weather in August 2014, one side of the line was severed from the nursery frame and the first 5 corals were smothered by sand. The rest of the line is in perfect condition. This species appears to be one of the most resilient, with the highest survival rates! Without the unfortunate severance of the line, I would expect this to have had a 100% survival rate. 2.5 year update: During the El Nino event in April 2016, the sea surface temperature increased by 4 degrees C and caused mass coral bleaching. 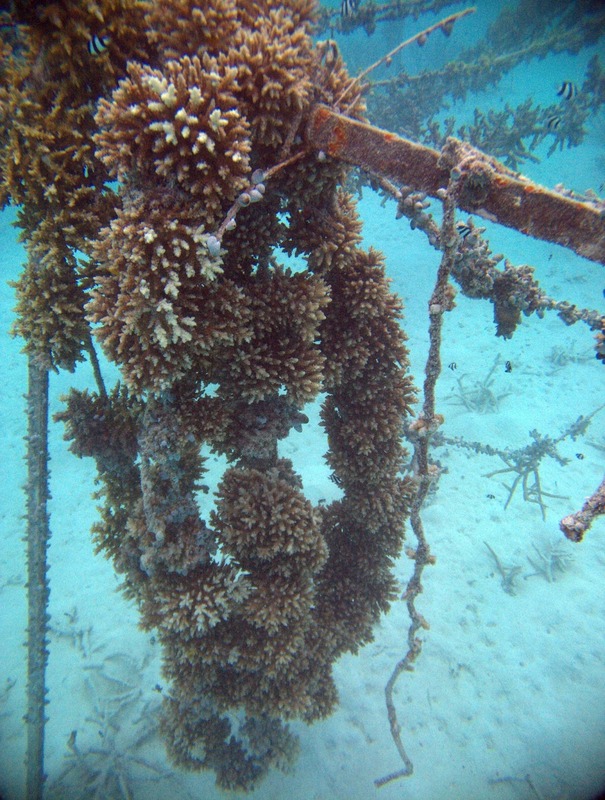 This event killed >80% of Acroporid corals on reefs in Maldives. The drop in survival you see at 2 years is caused by this bleaching event. Bizarrely, only the ends of your line were affected, with the centre of the line showing full survival! As you can see from the pictures above, the living colonies are huge, and not to mention heavy! 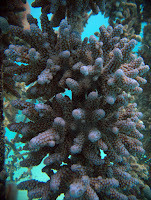 They were kept in the nursery for so long because we thought they would survive better in the nursery than on the reef. 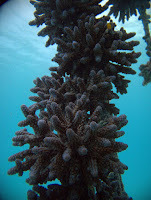 This turned out to be a good call, as all the Acropora humilis on our house reef is now dead. This beautiful blue species is not only going to help our own reef bounce back, but we also sent some colonies to the Four Seasons at Kuda Huraa to help kick start their frame project. This means that not only do you have a spectacular coral line, but you're also the proud donator of coral for frame number KH1602 & KH1627. 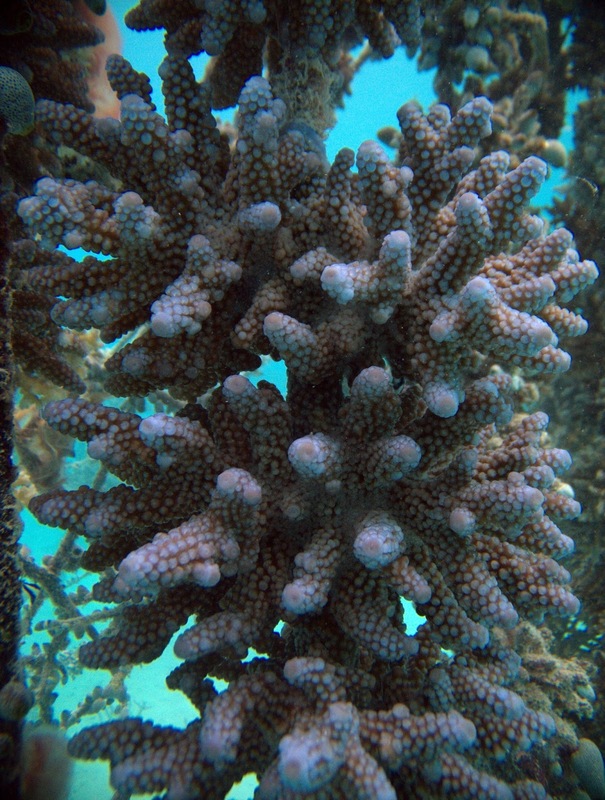 Head to http://marinesavers.com/coral-frame-collection/ and type in the frame number to watch it grow! 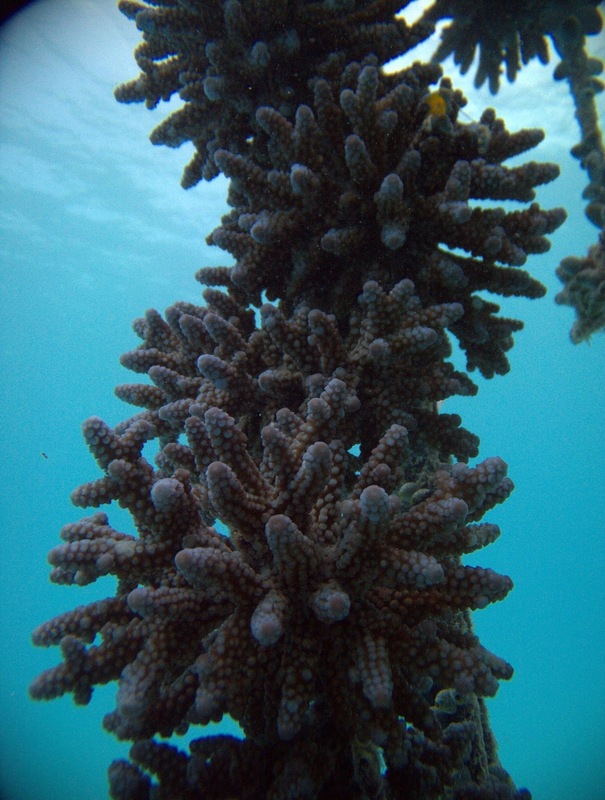 3 year Update: This amazing coral line had 50% mortality along the line, so we removed the dead half and have been able to transplant this three-year-old coral on the house reef at 7m using epoxy. We check it regularly for survival and coral predators! It has currently been on the reef for three days and is doing well. We hope this continues. Thank you so much for your contribution. This is the first line we have transplanted in this area.